Listed as “Dean Koontz” on the spine. 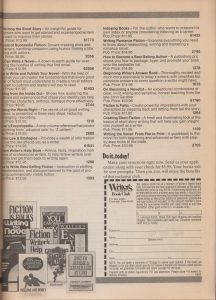 Mentioned on page 243 of Richard Laymon’s A Writer’s Tale, Deadline Press, 1998. 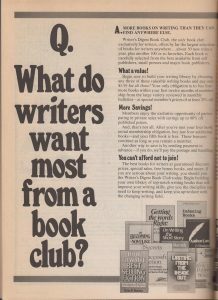 Featured in an ad for the Writer’s Digest Book Club in The Basics of Writing & Selling Fiction vol. 2, 1984.